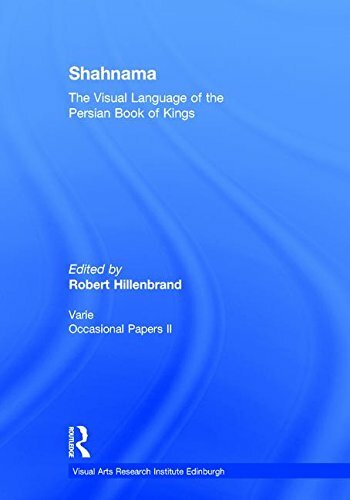 Shahnama: The Visual Language of the Persian Book of Kings presents the first comprehensive examination of the interplay between text and image in the celebrated Persian national epic, the Shahnama, written by the poet Firdausi of Tus. The Shahnama is one of the longest poems ever composed and recounts the history of Iran from the dawn of time to the Muslim Arab conquests of the seventh century AD. There is no Persian text, in prose or poetry, which has been so frequently and lavishly illustrated. Offering fresh insights through a range of varied art-historical approaches to the Shahnama, the essays in this volume reveal how the subtle alterations in text and image serve to document changes in taste and style and can be understood as reflections of the changing role of the national epic in the imagination of Iranians and the equally changing messages - often political in nature - which the familiar stories were made to convey over the centuries.